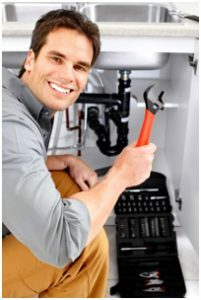 Mirando Plumbing, LLC is an Authorized Dealer and Installer for Pelican Water Filtration Systems. •Water Softeners – This system will provide a noticeable difference in the softness of your water with slippery residues. •Salt Water Softeners & Reverse Osmosis – This system uses salt to remove the effects of hard water, which leaves residues on your plumbing fixtures. •Whole House Filters – This system eliminates the effects of hard water eroding your pipes and fixtures, as well as acts as a filtration system, removing chlorine and other chemicals from your homes’ water. •Salt-Free Softeners – This system provides naturally softened water without the use of salt. It softens your homes’ water while leaving beneficial minerals and prevents hard water residues on your plumbing fixtures. •Iron/Manganese Filters – This system will trap unnecessary iron from entering your homes’ water system. It also filters potential contaminants and reduces the levels of chlorine. •UV Disinfection – this system uses UV technology to remove harmful contaminants from your water system, without changing the taste of the water. You can also have Pelican Spa Experience every day in your own shower. The Ultimate Shower Filter is now available. •Shower Filter With Dual-Flow Head – This product offers protection from the effects of harmful chemicals, like chlorine; maintains consistent water pressure in the shower; softens the water providing less dry skin and conditioned hair. •Shower Filter With 5-Foot Wand – This products is beneficial for removing harsh chemicals and odors in shower water, while giving a soft conditioner to both hair and skin.